Ralph Waldo Emerson is credited with saying that "Life is a journey, not a destination." Emerson’s quote is an apt description of the lifelong journey we undertake in the application of reliability within an organization. 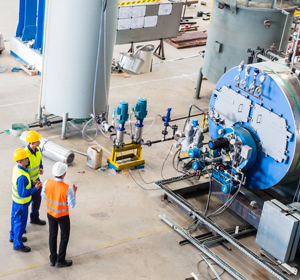 Implementing a reliability program is not simply a software purchase; it’s not just a checklist of items that must be completed that will ensure you have reliable products and processes. A reliability program is a complex learning and knowledge-based system unique to your products and processes. It is supported by leadership, built on the skills that you develop within your team, integrated into your business processes and executed by following proven standard work practices. A journey will take time, is often difficult and implies a process of personal change and development. The reliability journey will last the lifetime of your products, your processes and your company. There will be difficulties to overcome involving those people, products and processes that you are trying to improve. Done well, your reliability program will change how the organization works and it will have a positive impact on your organizational culture and the profitability of the business. Improving reliability is done through the application of statistics, physics and engineering to your products and processes. Therefore, all reliability programs begin with people and the development of the skills and knowledge they need to learn. You then need to provide your team with the right systems and tools matched to support the work they need to perform. And finally, you must leverage the knowledge that your team gains to drive the improvements needed by your business to remain competitive and profitable in today’s global marketplace. An old Chinese proverb states, "A journey of a thousand miles begins with a single step." This is a great way to look at starting your reliability journey; just take that first step. Even the longest and most difficult ventures have a starting point and the good news is that they don’t all have to begin in the same way or from the same point. You want to leverage your particular needs and strengths such that you set up your initial launch into reliability to be as successful as possible. For each launch point, there are tools and training that best fit that focus area. With minimal investment, your organization can quickly unlock improvements in knowledge gained by applying reliability to your product and process data. These data-driven decisions culminate in tangible business results. For each area, examples of ROI from the 2015 Best Practices in Reliability study conducted by ReliaSoft will be provided. Respondents to the survey from across a broad spectrum of businesses (including aerospace, automotive, defense, energy, healthcare and heavy equipment) shared the gains that their organizations have realized from reliability programs. Your return will be determined by the investment in leadership, people, support systems and tools, as well as the commitment you apply to your reliability journey. A need to reduce warranty costs and customer complaints is common throughout industry, and is often a driver for launching the reliability journey. 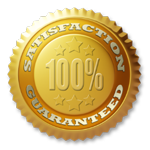 Most typically, the warranty program is administered out of the Quality department. Therefore the natural leader is the Director of Quality. Most quality organizations include a team of specialists assigned to manage quality data and guide the organization in resolving product and process issues. It is recommended that the entire team be trained in the reliability methods and tools to support a warranty reduction initiative. Additionally, you may want to add representatives from R&D and Production to act as liaisons to the Quality group and help with communication of improvement activities. It is recommended to develop at least three warranty improvement team members, a product engineer and a manufacturing engineer for a total of five initial users. The common skills for warranty improvement include: data management to set up the incident reporting system; life data analysis to analyze the field failure rate and provide estimates of warranty cost based on production volumes; and critical problem solving skills to root cause the failure mechanisms and drive irreversible corrective actions. XFRACAS is a web-based Failure Reporting Analysis and Corrective Action System (FRACAS). Weibull++ software provides a wide variety of core reliability analysis tools, including data entry formats for using sales/returns data to perform life data analysis to make warranty projections. Since many product development organizations follow a strategy of "Test and Fix” in order to develop robust and reliable products, the test area may be ideal for beginning a formal reliability journey. Identifying the leader for reliability within the test area may take a little work. Often, test areas are divided into two functional groups: Test Operations, where daily management of equipment and test operators is performed, and a Test Development Team, where new test development and data analysis of test results are done. The manager of the test development group or the overall director for the test lab will be the best champion for a reliability program. If the test development is led out of the engineering department, then look there for a reliability leader. 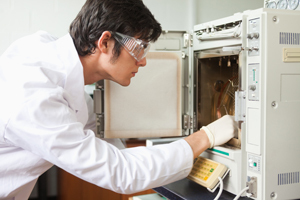 Test engineering groups are often well suited to take on the role of reliability engineer. They already interface with the product engineers and lab technicians. Typically, they are familiar with the product specifications, at least the areas of the spec that drive reliability and testing. They have been collecting test data and often performing the initial analysis on the results, writing test reports and, in some cases, even helping with root cause analysis of failures on test. For this launch point, it is recommended to develop the entire test engineering team. This is done to ensure that all products receive the same level of support, all employees follow the same standard of work and a consistent message is provided from the test area to all its internal and external customers. Depending on the size of the organization, this is often a group of five to ten and may include both hourly and salaried employees. Caution: Ensure employees have the appropriate computer and math skills prior to entering reliability training. The concept of “stress-strength interference” is the basis for life data analysis and accelerated test analysis, and it is foundational for test engineering. The goal is for this team to be proficient in test planning, data analysis and test development. Weibull++ is the industry standard software for life data analysis (Weibull analysis) and related analyses for thousands of companies worldwide. One of the unique features of Weibull++ is the Reliability Test Design tool, which enables the user to determine the appropriate sample size, test duration or other variables for designing effective reliability and demonstration tests. ALTA provides a comprehensive toolset for accelerated test planning and quantitative accelerated life testing data analysis, plots and reporting. Product development can be the most challenging and also the most rewarding area in which to launch your reliability program. The challenges lie in the complexity of product development, which touches almost every aspect of the business, beginning with both your customers and suppliers, handing off to manufacturing, while still involved with warranty and customer satisfaction. But a successful implementation may provide a very high return on investment due to significant improvements in your product development process, reductions in warranty, increased sales, fewer problems in manufacturing, and more. Caution: Reliability initiatives in product development will usually take three to five years to become fully integrated into your product development process. The launch of a reliability program at this level will require an executive champion and a reliability initiative leader. The executive champion will be your VP or Director of Engineering. The reliability leader should be a senior manager with a passion to lead an organizational change centered on reliability. Assembling the reliability team within a product engineering organization typically begins with the creation of a new department or group with the appropriate budget allocated to similar engineering functions. You begin with your reliability manager (hired from outside or selected from within). The manager will then build the team from internal or external candidates as needed. The size of the reliability team will be a function of the size of the product engineering organization and the complexity of the products developed. The Best Practices in Reliability survey indicates that each reliability practitioner will manage 2 - 4 projects at one time. All members of the reliability group, including the manager, will go through extensive reliability training. At any one engineering site or business unit, this may be a small team of three to five or a large department of 20+ employees. A Reliability Engineer is a professional who understands how to apply the principles of performance evaluation and prediction to improve product/system safety, reliability and maintainability. The initial core skills that new reliability professionals must develop begin with foundations in Design for Reliability (DFR), supported by Failure Modes and Effects Analysis (FMEA), life data analysis, reliability testing and system modeling. ReliaSoft recommends initiating the skill development for the reliability team through the use of the Certified Reliability Professional (CRP) program. To achieve certification, candidates must complete a series of training courses focused on important reliability engineering topics, successfully apply the learned body of knowledge in the workplace and publicly present this expertise in an industry conference or journal. 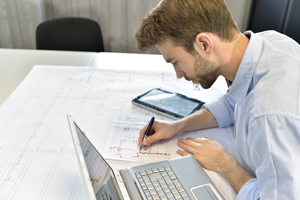 D560 Design for Reliability (DFR) Program Planning and Implementation provides an overview of Design for Reliability and includes a complete DFR plan that can be customized to meet specific needs. Xfmea facilitates data management and reporting for all types of Failure Modes and Effects Analysis. Weibull++ is packed with tools for related reliability analyses, such as warranty data analysis, degradation data analysis, non-parametric data analysis, recurrent event data analysis and reliability test design. BlockSim provides a comprehensive platform for system reliability, availability, maintainability and related analyses. Starting a reliability journey in maintenance is a very common-sense approach to building on the strengths of your maintenance team. Implementing reliability moves the maintenance team away from "firefighting" problems and toward problem prevention. Reliability Centered Maintenance (RCM) is a global standard process, recognized as the most efficient maintenance strategy, and it is the approach recommended by ReliaSoft. The logical reliability leader is the Maintenance Manager, with the Plant Manager acting as the executive champion for the reliability program. The team for maintenance reliability can be a little tricky to assemble. You begin with the management team made up of the Maintenance Manager and his or her supervisors. Often, these folks started as hourly workers and may require additional coaching and development to lead and manage the RCM deployment. Because reliability has an element of statistical application, the team will need to create a reliability engineering role. 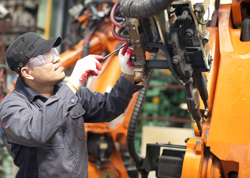 Organizations typically take one of two approaches to filling this role: a) hire asset management reliability engineers into the maintenance group or b) leverage the skills in the continuous improvement (CI) group found in the plant and have them assigned to provide analytical support for maintenance as a priority of their standard work. The final part of the team is composed of craftspeople with skills unique to the equipment and systems that exist in a given facility. It is this group of specialists that perform the preventive, predictive and corrective work of the maintenance organization. The reliability skills needed within maintenance begin with understanding the functions of the production processes. They also include the ability to perform root cause analysis to determine failure mechanisms. This includes the application of life data analysis to failure and wearout data. In addition, there is a significant need for skills related to scheduling, planning and optimizing the prevention and prediction work, as well as the parts and resources needed to maintain the facilities. ReliaSoft recommends initiating the skill development for the leaders of RCM and those in the reliability engineering role by following the Certified Reliability Professional (CRP) program. M440 Reliability and Maintainability Analysis for Repairable Systems provides an overview of the ways in which reliability engineering concepts and methods can be applied for repairable systems analysis and maintenance planning. RCM++ facilitates the Reliability Centered Maintenance (RCM) analysis approach for creating scheduled maintenance plans, which is an important aspect of an effective asset management program. A newer reliability launch point is the application of reliability methods and tools within manufacturing operations. This approach is especially beneficial for high volume packaging lines. The focus is on eliminating stops that cause disruptions in production. The leader may come from one of two areas: It may naturally fall to the manager of the Continuous Improvement (CI) group, or it may go to the Operations Manager. Because both of these leaders report to the Plant Manager, he or she will assume the role of executive champion. Leveraging the skills of the plant’s CI group provides a strong foundation for launching reliability from this point. The CI team traditionally has been charged with helping the plant achieve its productivity goals. Therefore, this group, even in a small plant, consists of three to five skilled problem solvers. It is recommended that the entire CI team, including the CI supervisor or manager, be trained in the application of reliability methods and tools to operations. You should also consider adding a representative from the plant's Quality organization and the Maintenance group since improvements will touch both of these functions. Plan on developing at least five employees to start. The common skills for operation improvement include data management because CI team members often must pull data from enterprise resource planning (ERP) systems such as SAP. Life data analysis will be used to analyze stops and determine mean time to stop (MTTS) and mean time to repair (MTTR) metrics. Good problem solving skills are also necessary in order to root cause the failure mechanisms and drive irreversible corrective actions. Finally, team members will need to be able to perform system analyses to prioritize productivity initiatives. Weibull++ is the industry standard software for life data analysis (Weibull analysis) for thousands of companies worldwide. It also supports repairable system analysis to analyze current event data and has specialized tools to convert system failure and repair data into times-to-failure and times-to-repair. You would not begin a journey without a destination in mind. For a reliability journey, our destination would be to develop the skills needed, supported with the right business processes, systems and tools, to enable the development and management of products and processes to perform their required functions without failure under required conditions for their defined useful life. Although we may never quite attain the ideal state, we can certainly work toward that achievement. A famous American football coach, Vince Lombardi, once told his team: "Gentlemen, we will chase perfection, and we will chase it relentlessly, knowing all the while we can never attain it. But along the way, we shall catch excellence." 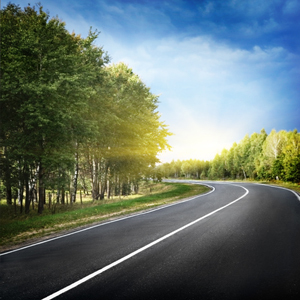 This is a great example of how to establish the vision for your reliability journey. 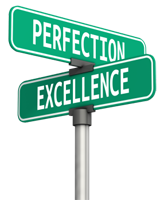 Once you’ve taken those first steps, relentlessly pursue perfection in your reliability program so that you will achieve excellence.